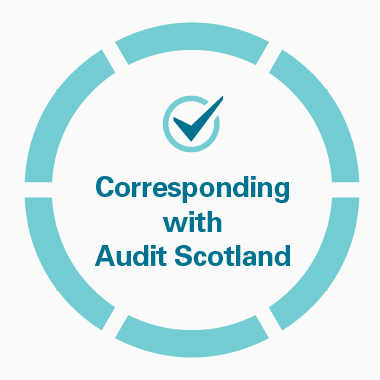 This information applies to all enquiries about Audit Scotland, the Auditor General and the Accounts Commission. We deal with different types of correspondence. Depending on what you want to contact us about, follow the links below to find out more and how to get in touch with us. Visit our News page for information on our media team. Our offices are open from 8:45am till 5pm, Mon - Fri. If you use British Sign Language (BSL), you can visit the Contact Scotland BSL service which will give you access to an online interpreter who can communicate with us using sign language. Our BSL plan sets out how we promote and support BSL within Audit Scotland. You can download the plan and read it in BSL here. How was your visit to our site today? Fill in our feedback form and let us know.